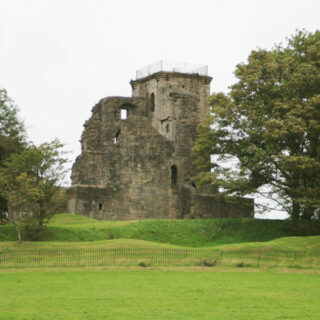 Liberton Tower was built in the mid- to late-15th century by the Dalmahoy family. It takes the form of a simple square tower consisting of four storeys. 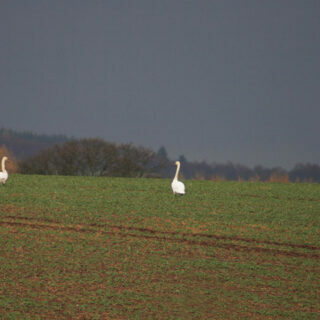 It occupies a good defensive position on a long ridge projecting from the Braid Hills. 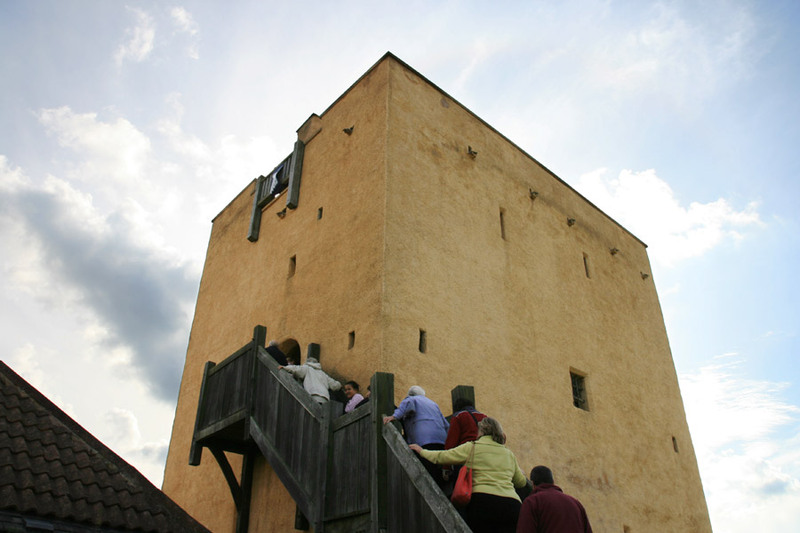 The tower measures around 10.6m east to west by around 7.8m north to south, and the walls rise to a height of 10.7m. 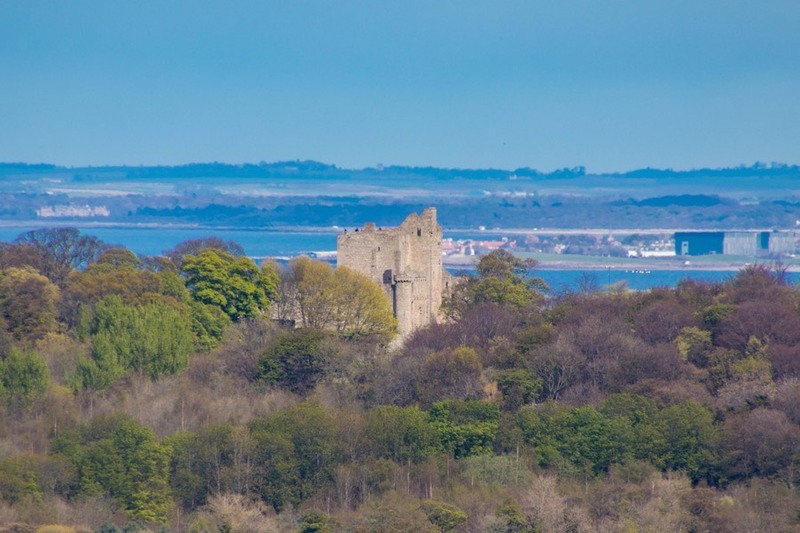 It shares similarities in style with Craigmillar Castle‘s central tower, which can be seen from Liberton Tower. The tower originally had a courtyard with low ranges of buildings attached to the walls to the east and north-west, with the tower itself forming the south-west corner of the courtyard wall. The interior of the tower is divided in half vertically by two large barrel vaulted sections, which in turn are split in two by wooden floors resting on stone corbels, making up the four storeys. 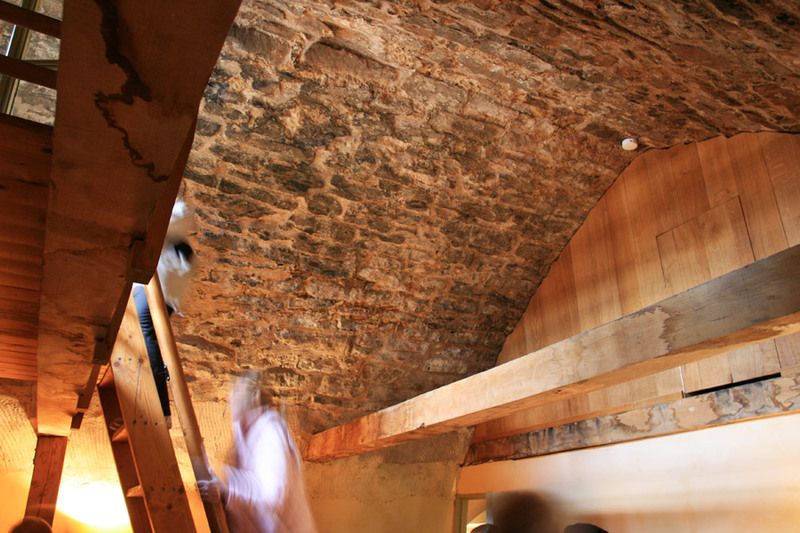 The ground floor level is just 2.0m in height and would originally have been accessed through a hatch in the floor of the chamber above, although an external door was added later. 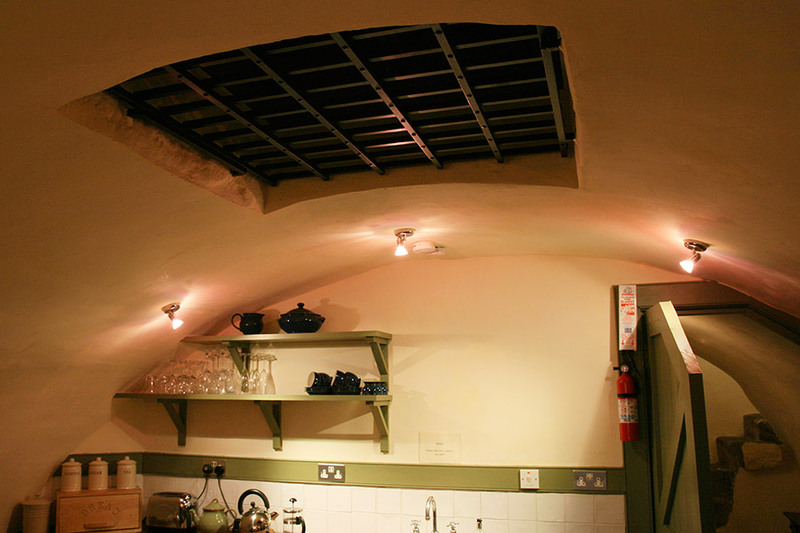 The first floor is immediately under the vaulting and was used as cellar storage, a hatch in the centre of the vaulted ceiling giving direct access to the main hall above. The main entrance door was on the second floor of the tower on the north-east wall. Originally this would have been accessed by a wooden drawbridge connecting with a free-standing set of wooden steps. 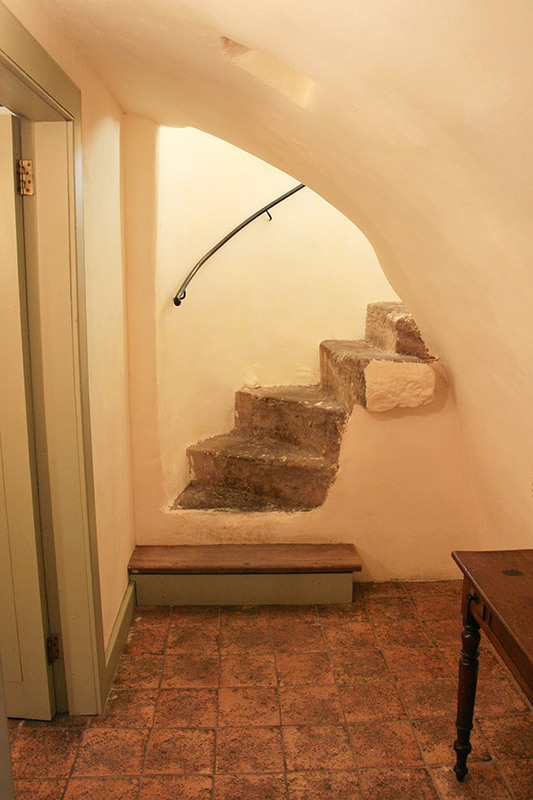 This arrangement was later replaced with a set of wooden steps fixed directly to the tower’s wall. 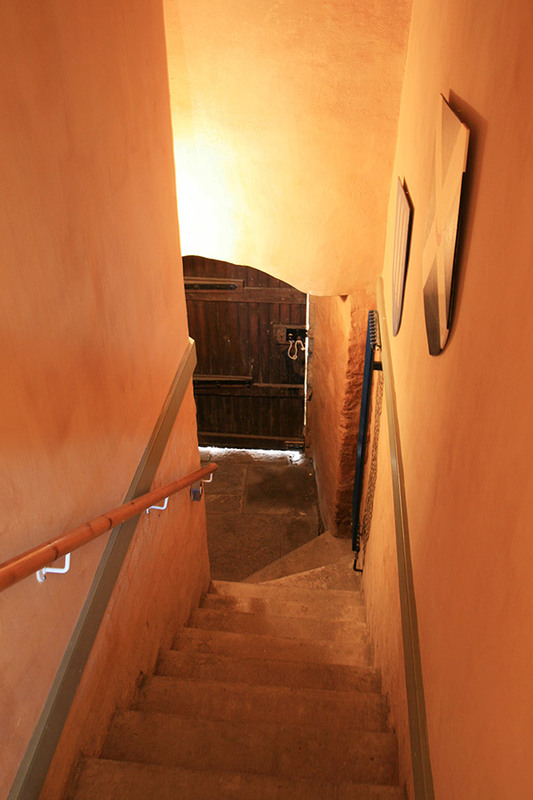 The entrance leads directly into the main hall which occupies the full width of the tower, under a wooden ceiling supported by corbels. From the main hall is a staircase down to the cellar within the north-west corner of the tower’s walls, and also another two intramural staircases at the south-west and south-east corners leading to each end of the upper floor. 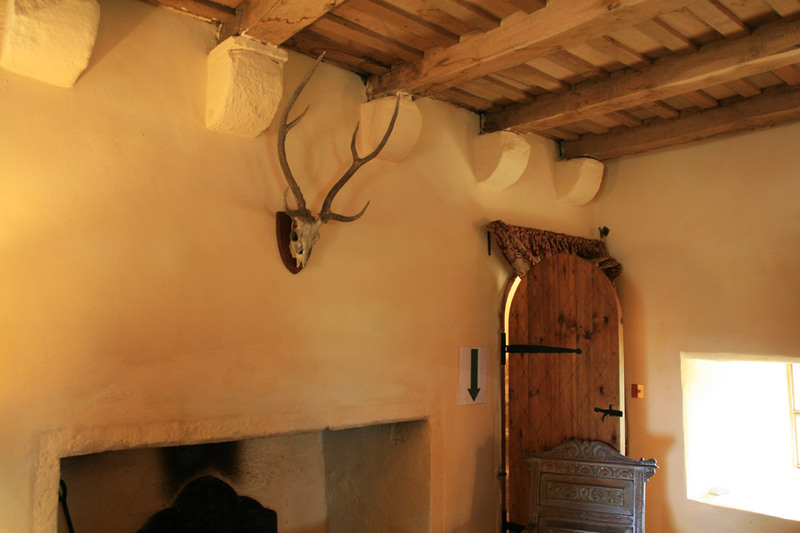 The top floor is divided into two rooms, the eastern one forming the laird’s private chamber. 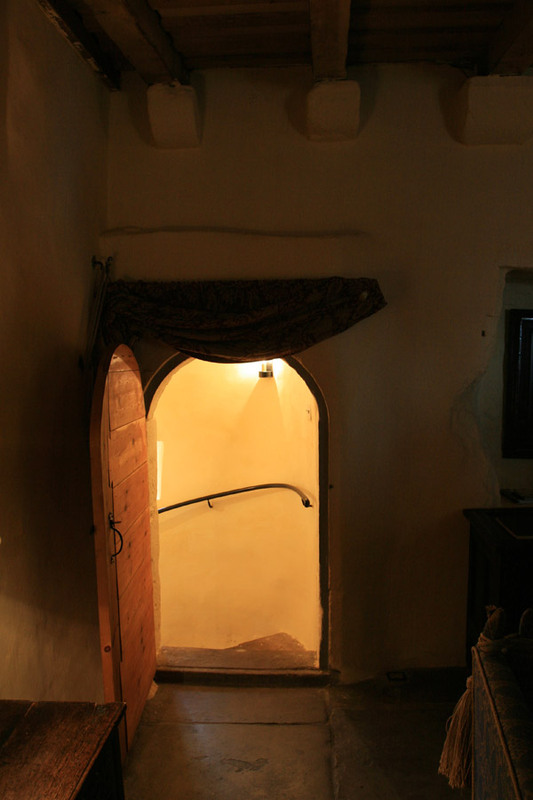 A spy-hole in the staircase wall allowed the laird to look down into the hall below, while a door in the east wall gave access via a wooden staircase to the parapet walk from his apartment. The walkway was within the walls of the tower rather than being corbelled out. 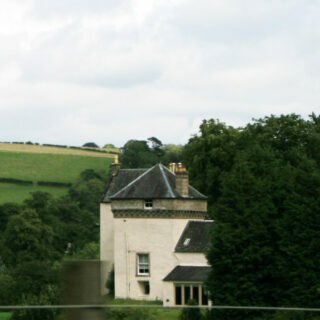 The Dalmahoy family possessed the barony of Upper Liberton as early as 1453, and it is likely that Liberton Tower was built around this time. 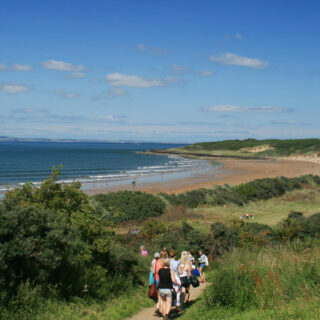 The Dalmahoy crest is carved on a panel high on the south wall. 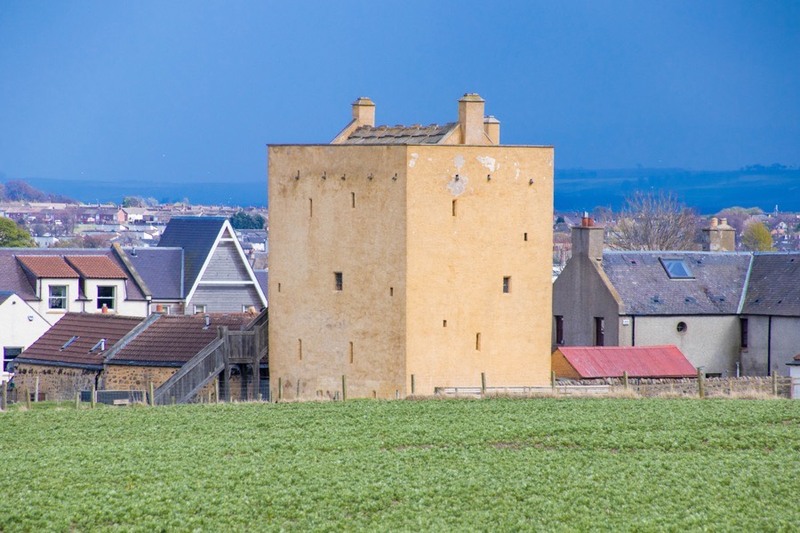 The tower passed to the Forrester family and was later sold to William Little, the Provost of Edinburgh, in 1587. 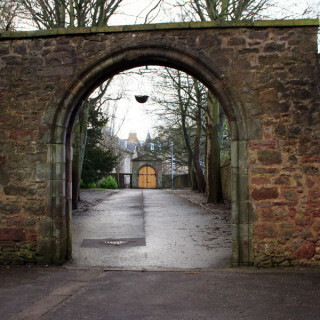 However he built the nearby Liberton House, and in 1610 vacated the tower for his new home, with Liberton Tower being used for agricultural purposes. 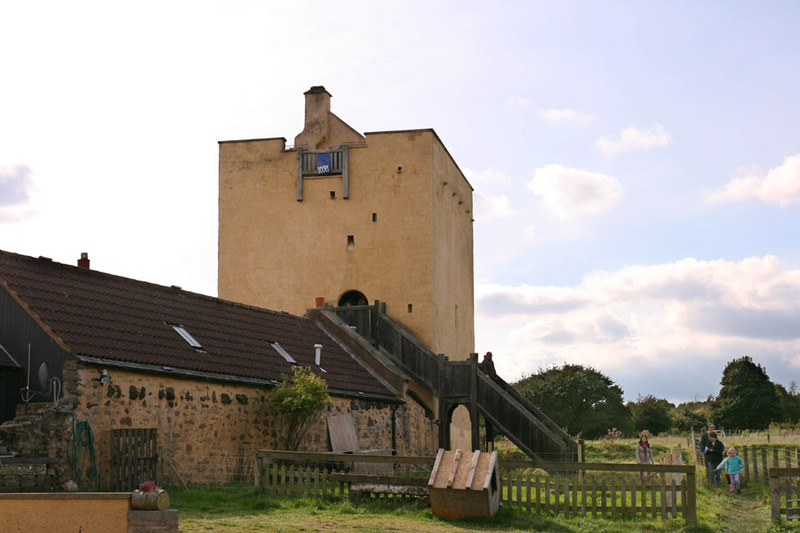 The tower was restored in the late 1990s and converted back to domestic use by the Castles of Scotland Preservation Trust. 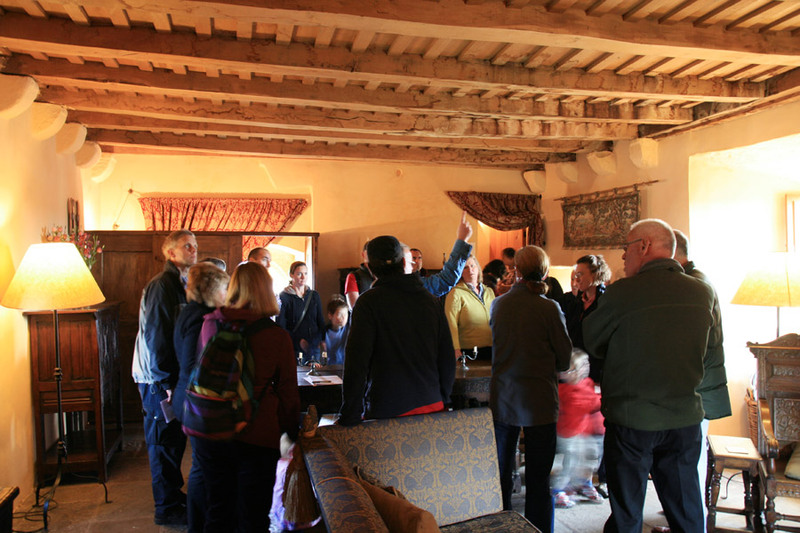 Archaeological investigations at this time revealed that the tower was temporarily reoccupied in 1650 during the Civil War (cannonballs had been found in the vicinity in the 19th century). 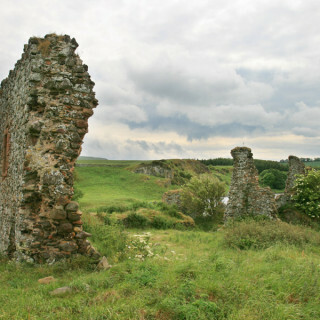 When the archaeologists studied the tower it was discovered that the original parapets were removed, and the upper east wall seemed to have suffered substantial damage at some point in history before being rebuilt. Both of these may be connected to the Civil War. 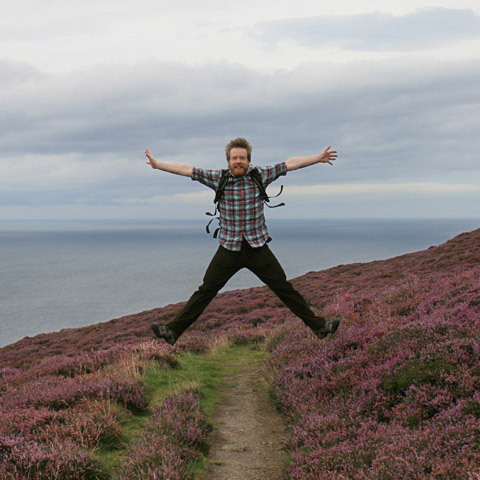 Liberton Tower is now let out as holiday accommodation. Liberton Tower is in the parish of Edinburgh and the county of Midlothian. Published on the 14th of May 2010 at 2:00 pm. Updated on the 18th of April 2017 at 12:54 pm.